There are many reasons why an infant may suffer from ear infections... parental smoking, not breast-feeding, daycare, etc. However, what many parents may not realize is that pacifier use is also an additional well-known independent risk factor for causing ear infections as well. Numerous studies have documented this association and depending on what study you look at, the risk can be quite significant. 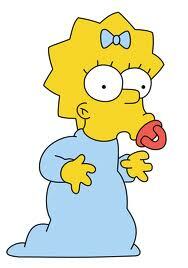 Furthermore, the longer and more frequently the pacifier is used, the more ear infections a child can have. As such, it is suggested that pacifiers should be used only during the first 10 months of life and only when need for sucking is strongest. Of course, pacifier do have benefits including analgesic effects, shorter hospital stays for preterm infants, and a reduction in the risk of sudden infant death syndrome. A pacifier increases the risk of recurrent acute otitis media in children in day care centers. Pediatrics. 1995 Nov;96(5 Pt 1):884-8. Pacifier as a risk factor for acute otitis media: A randomized, controlled trial of parental counseling. Pediatrics. 2000 Sep;106(3):483-8. Is pacifier use a risk factor for acute otitis media? A dynamic cohort study. Fam Pract. 2008 Aug;25(4):233-6. Epub 2008 Jun 17. Risks and benefits of pacifiers. Am Fam Physician. 2009 Apr 15;79(8):681-5.